Aberdeen have revealed they have taken Nigerian defender Daniel Adejo on trial. The 26-year-old played 90 minutes at right-back in a 1-0 under-20s victory over Hibernian on Tuesday. 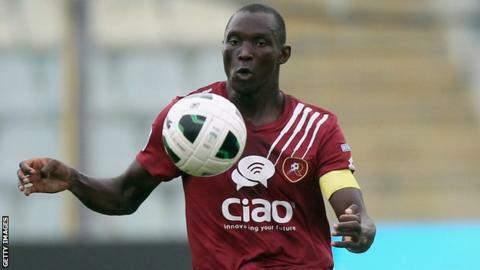 Adejo, who can also play in central defence, played for AEL Kalloni in Greece for 18 months after a six-year spell with Italian side Reggina. He scored twice in 31 games last season and once in 11 appearances for Kalloni this term before his release.